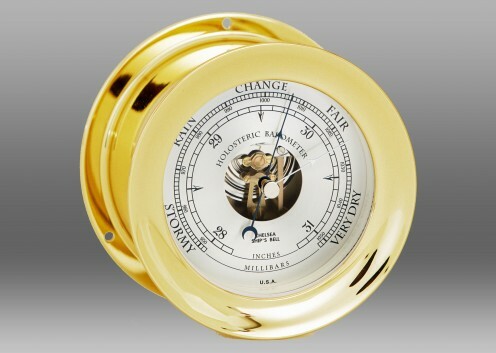 Our classic Ship’s Bell Barometer, designed as a companion piece to the Ship’s Bell Clock, features a double bellows holosteric movement that mechanically measures changes in atmospheric pressure to foretell changing weather. 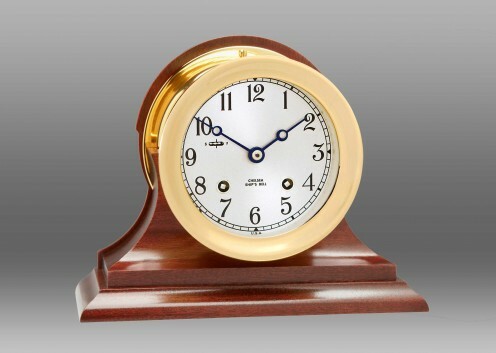 Readings are handsomely displayed in inches and millibars on the piece’s rich, hand-silvered dial. 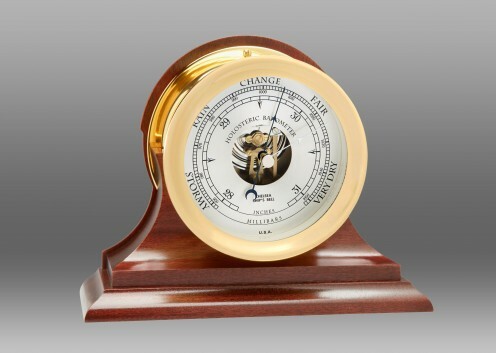 The Ship’s Bell Barometer features a lacquered solid forged brass case with nickel finish and screw bezel. Barometer movements are automatically calibrated for altitudes up to 2,000 feet, and can be factory-adjusted for altitudes up to 5,000 feet above sea level upon request when placing orders. 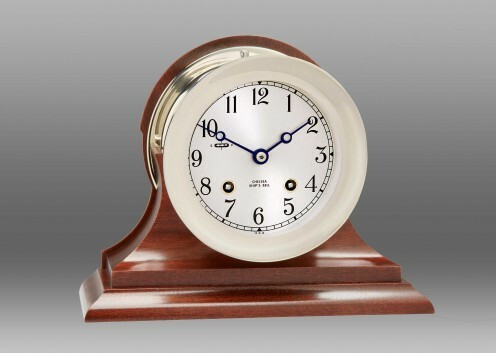 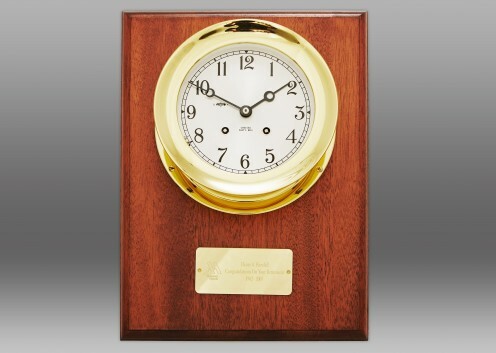 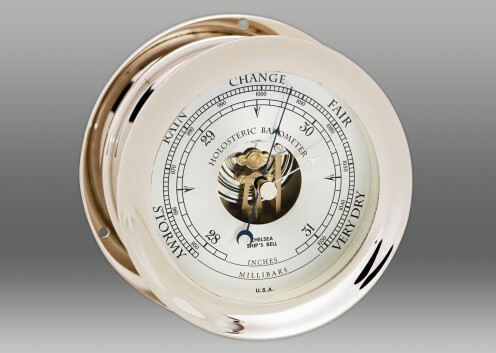 The Ship’s Bell Barometer in nickel on traditional base is available in 4 1/2 inch in Nickel or Brass finish. 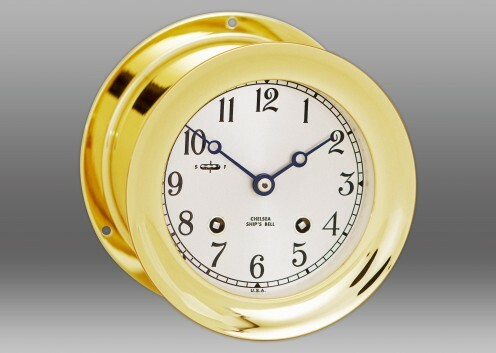 See "Product Options" for additional Ship’s Bell items.